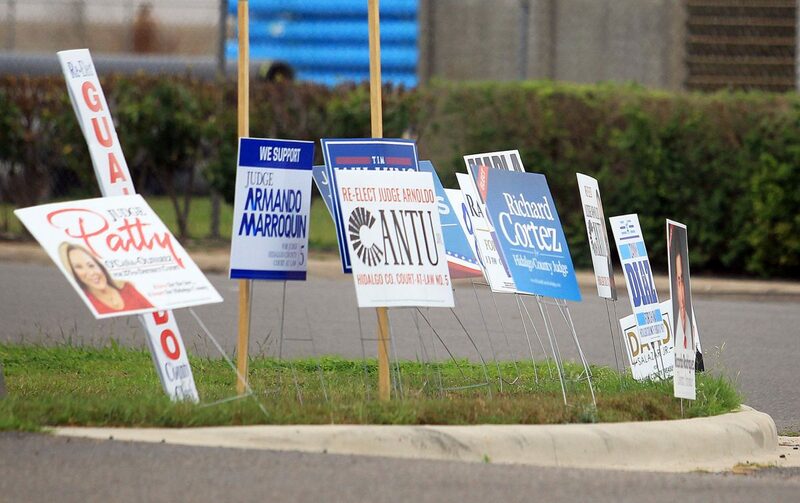 Political signs advertise candidates as polls remain open for those who wish to vote early Fireman's Park on Sunday, Feb. 25, 2018 in McAllen. Voter turnout for the March primary in Hidalgo County has seen a slight increase, but the number of mail-in ballots has skyrocketed when compared to the 2014 primary, the last nonpresidential primary race. More than 19,300 voters cast their ballot throughout the first five days of the early voting period, according to unofficial counts posted on the Hidalgo County Elections website. That’s about 1,000 more votes when compared to the same time frame in 2014. Perhaps the biggest difference, however, is the method in which the votes were cast. Absentee ballots, otherwise known as mail-in ballots, have seen a huge spike when compared to 2014, when only 673 absentee ballots were cast throughout the entire 11-day early voting period. To put it into perspective, the elections department received twice as many in just the first day of early voting, when staff counted 1,352 mail-in ballots. Polls remain open for those who wish to vote early Fireman's Park on Sunday, Feb. 25, 2018 in McAllen. The department received a total of 1,870 mail-in ballots during the first five days of the early voting period, the latest figures available Sunday. During that same time frame in 2014, the county had only received 280 mail-in ballots. The current figure is more than six-and-a-half times as much as it was four years ago, and equates to about a 567-percent increase. 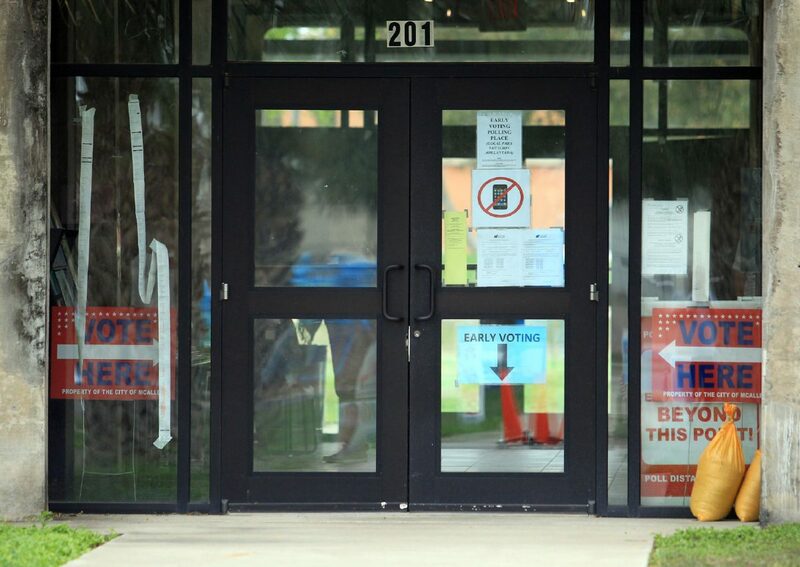 When voting in person, the Elections Annex in Edinburg continues to be the most visited site. More than 3,700 people have voted there since the start of the early voting period, which began Feb. 20. Voters have until March 2 to vote during the early voting period before Election Day on March 6.